Democrat Carpetbagger Running in Georgia Can’t Even Vote for Himself! Could an 11th hour revelation be the undoing of Democrat hopes to win a very red House seat? I would hope so. Democrat candidate for Congress in Georgia’s 6th District, Jon Ossoff, is nothing more than a liberal carpetbagger who has been brought into the District by the corrupt state party. 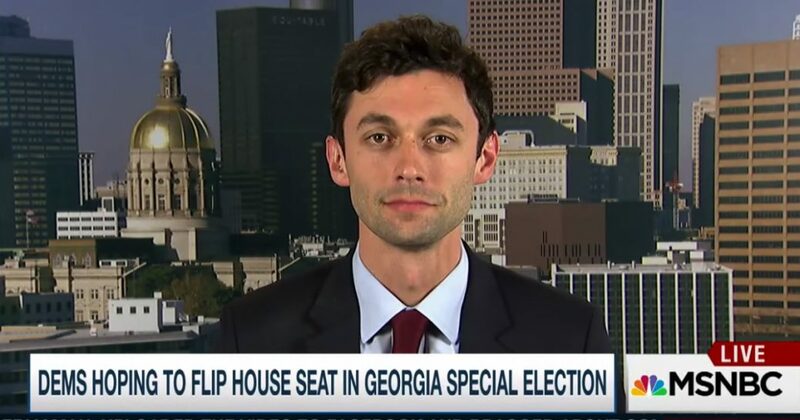 Over the weekend it was revealed that Ossoff can’t even vote for himself in today’s special election because he doesn’t even live in the District! Alisyn Camerota: Mr. Ossoff, is it true that you cannot vote for yourself? Jon Ossoff: Well, I grew up in this district. I grew up in this community. No one knew there was going to be an election coming. I’ve been living with Alicia, my girlfriend of 12 years, down by Emory University where she’s a full-time medical student, and as soon as she concludes her medical training I’ll be 10 minutes back up the street into the district where I grew up. But I want to support her and her career and do right by her. Alisyn Camerota: So, when are you going to marry her? Jon Ossoff: Well, I don’t want to give anything away but I think I can reasonably say that’s more of a personal question. I’ll give you a call when I have something to announce. Alisyn Camerota: Please do. Perhaps, say, an Election Day proposal would be good. But I guess your point is that you don’t live in your — the district in which you’re running, so you will not be able to vote for yourself. Jon Ossoff: Well, I grew up in this district, I grew up in this community. It’s my home. My family is still there. I’m a mile and one-half down the street to support Alicia while she finishes medical school. It’s something I’ve been very transparent about. In fact, I’m proud to be supporting her career and as soon as she finishes her medical training I’ll be 10 minutes back up the road into the district where I grew up.